Twenty-one years after leaving TVB, Dicky Cheung (張衛健) finally returns for the series, The Learning Curve of a Warlord <大帥哥>. In a recent interview, he opened up about his sudden departure from the television station, the sacrifices his wife has made, and the impact that her miscarriage had on him. was wondering why he left so suddenly. So he got so popular and tvb wouldn’t give him the money he wants so he left. Brave for a tvb artist to do that at that time. 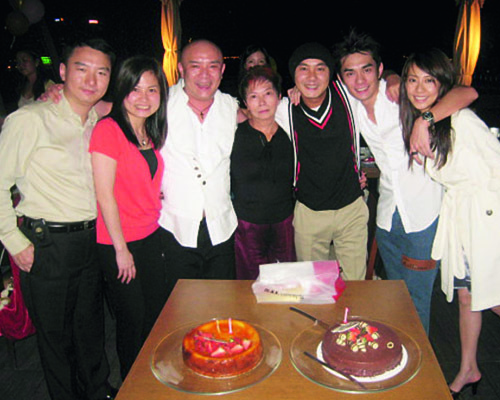 Finally tvb artists are all doing it a decade later. Wow, Dicky is really amazing. Coming back to film for TVB after so many years. And props to him for not cheating on his wife. their love as he describe is such a beautiful thing. i like how he was honest about temptations in the industry, although we really can’t tell if he succumb to it or not. Definitely idol status for me! I really hope the media doesn’t find out anything unsavory about him. Too many childhood heroes have already been tarnished.